Was it possible to design a speaker that had all the rich sound quality of the Coltrane series for a more accessible budget? That was the challenge we set ourselves. And with the Mingus Quintet we’ve succeeded. 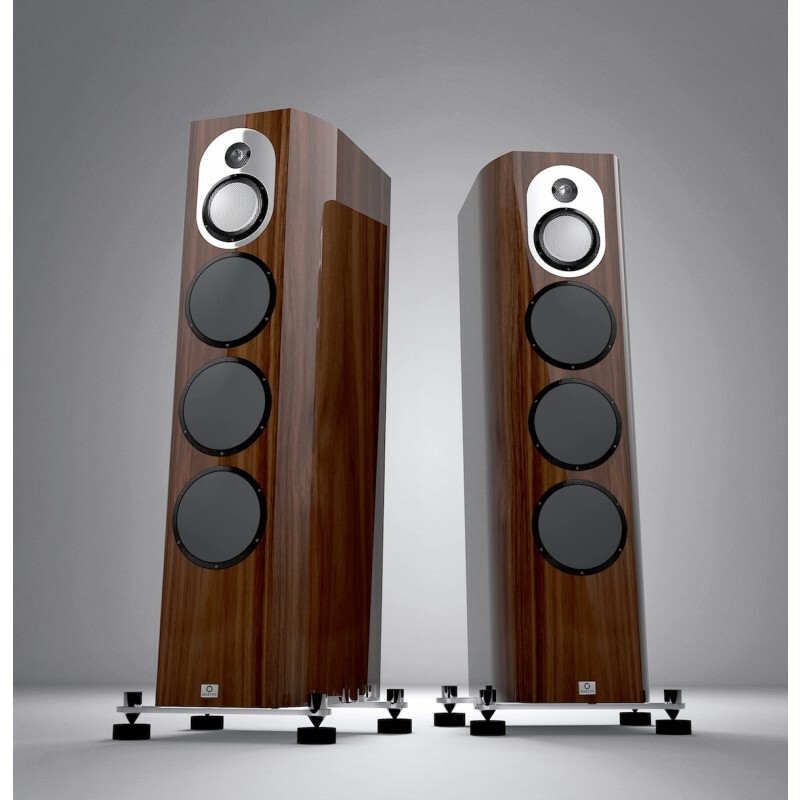 Our proudest achievement to date, the Mingus Quintet pushes loudspeaker technology further still. Offering the very lowest levels of distortion, its sound is effortlessly natural and dynamic. The Mingus Quintet bridges our Heritage and Coltrane series. A full-range speaker with deep bass and full dynamics, it has all the characteristics of the Coltrane. This makes the Mingus Quintet the very essence of a Marten speaker, a study in truthful sound. 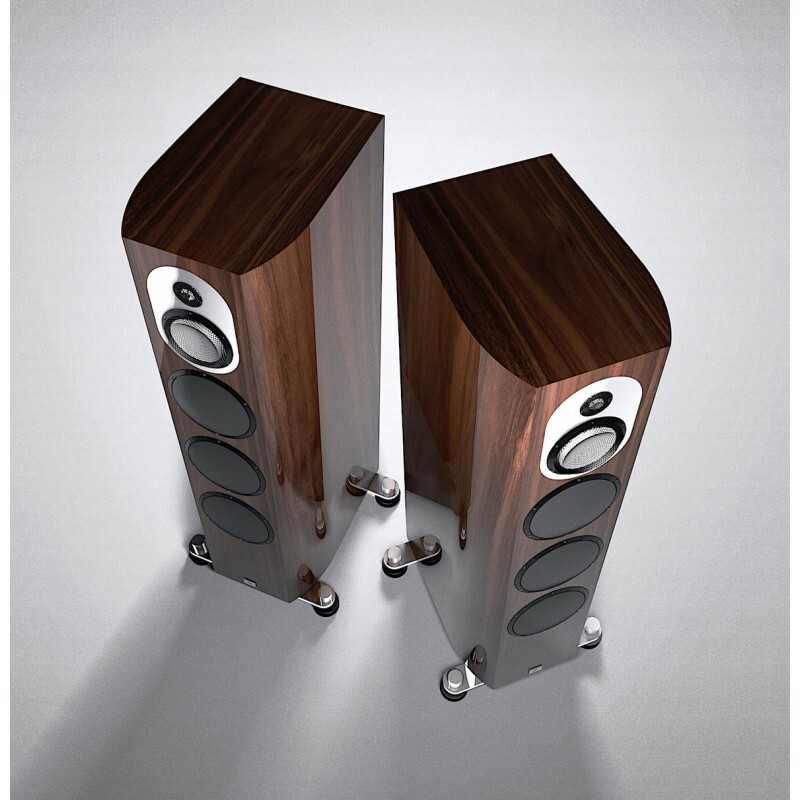 You’ll nd the same technology in Mingus Quinet as in our new Coltrane Supreme 2 and Coltrane 3 speakers. The diamond tweeters and midrange are exactly the same as in the top-of-the-range Coltrane Supreme 2. But these speakers also push boundaries of their own. Accuton has created the brand new 7” cell technology bass unit especially for the Mingus Quintet. And we chose to set the midrange and tweeter in a polished stainless steel plate that dampens resonance around the important units. The sleek design is tapered, the slimmer front pro le reducing sound re ections and adding to the speaker’s compact look. A super-high-quality walnut and piano black nish completes the high-end feel, and more options will be added throughout 2016. The Mingus Quintet sits on similar solid stainless steel stands to the Coltrane series and comes with our own pucks and cones. The high-quality terminals are from WBT and everything is packaged in sturdy wooden boxes. Inside the rigid cabinet, braced between units to reduce resonance, you’ll nd Jorma Design internal cabling and natural sheep’s wool for dampening – carefully weighed to ensure there’s exactly the right amount. The crossover is a rst order three-way lter. Exactly the same technology as in the Coltrane Supreme 2 and Coltrane 3, this supplies the perfect time and phase coherence and coincidence. And all units bene t from Cell technology, the 20mm diamond tweeters and the 5” midrange drivers. Together with the three 7” woofers, this ensures the Quintet plays together in perfect harmony.